We Plant, We Grow And We Cut For Renewable Sustainable Affordable Housing Support. When We Fire Defend The Lumber, We Build Carbon Storage To Support Our Planet. As forests grow, they sequester carbon dioxide. Sequestration refers to the capture and storage of carbon dioxide by trees and plants through natural processes, such as photosynthesis. Our country's forests remove 12-14 percent of total U.S. greenhouse gas emissions each year through carbon sequestration, and offset nearly 16 percent of annual carbon dioxide emissions alone. Forests absorb carbon dioxide from the atmosphere and store it in different repositories, called carbon pools, which include trees (both living and dead), root systems, undergrowth, the forest floor and soils. Live trees have the highest carbon density, followed by soils and the forest floor. Each region of the country contains differing quantities of each carbon pool, ultimately shaping regional carbon density. 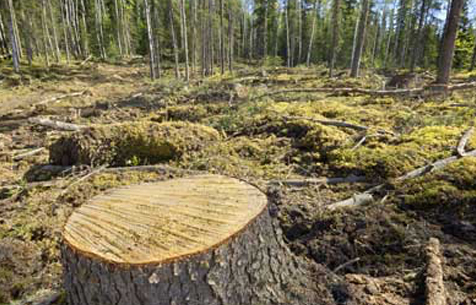 Harvested wood products and landfills also store carbon. It really does not matter what side of the aisle you are on, whether believing in climate change or weather events that are causing all these catastrophic events, the need to innovate new resilient building methods and products is critical before more loss occurs. What is undeniable is the increase in population is putting more pressure on sustainable and we as builders have to be willing to build beyond the code. The climate change political divide must be put aside now, in order to work together on resilient rebuilds and retro-fits in vulnerable homes and communities. We must be one America in defending families and homes from flooding, tornadoes, wild brush fires and seismic activity or we will continue to see more losses. As a company, we defend resilient building because we are in solidarity with our government and FEMA relief funding. Our goal is to help make sure they do not suffer loss in the future on the same homes. We are also deep in applied fire science to support affordable housing with fire treated lumber creating carbon storage banks. If we cannot get the 45 Q amended to support a tax incentive for builders that embrace renewable sustainable defended lumber buildings, it still has big LEED value.